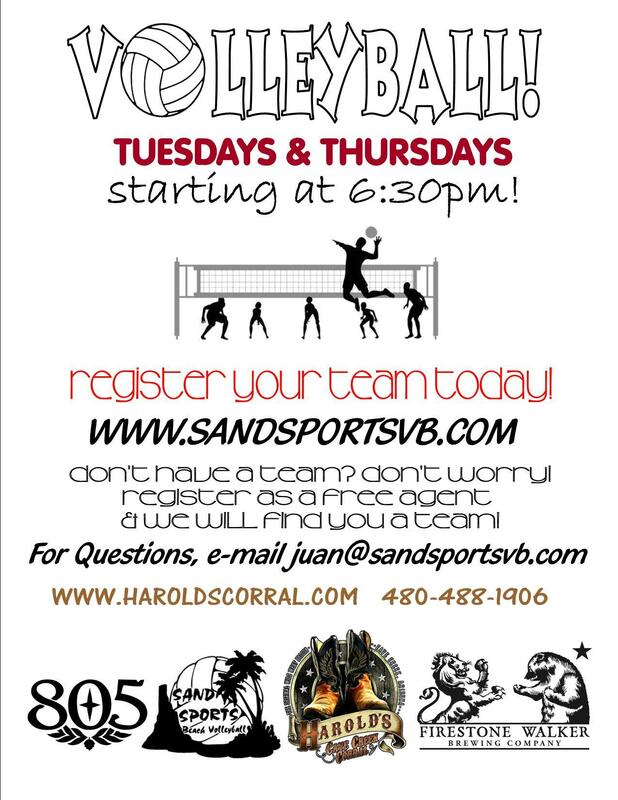 Sand Volleyball at Harold’s Corral! Don’t have a team? NO WORRIES! Register as a free agent and we will find you a team!